Goodwood - BTCC Ace Andrew Jordan Joins GRR! BTCC Ace Andrew Jordan Joins GRR! British Touring Car Championship frontrunner Andrew Jordan has joined the Goodwood Road & Racing team as official track tester. Jordan, who has to date won 14 races in the series for Vauxhall and Honda, as well as lifting the 2013 Drivers’ title for his family-run Eurotech team, will be sampling numerous machines of all disciplines to bring GRR readers an unparalleled insight into life behind the wheel of some well-known and well-loved machines – many of which have appeared at the Festival of Speed and been raced in the Members’ and Revival Meetings. The 26-year-old, who is regular competitor in historic racing, notably at Goodwood, is relishing the versatility of the role. ‘While racing cars is my day job, I really am a car nut at heart and love the opportunity to drive a huge variety of cars,’ he said. ‘So you can imagine my excitement at becoming Goodwood’s official track tester as I’ll get to drive some once-in-a-lifetime cars. Jordan will compete in his ninth season of BTCC in 2016, having joined the Motorbase squad to race its Ford Focus – a machine that won regularly in the hands of Jordan’s new team-mate Mat Jackson in the second half of 2015. And when not concentrating on securing a second title, he’ll be turning back the clock to demonstrate his skills in historics, notably at Goodwood in a Ford GT40 alongside his father and fellow BTCC winner Mike in the Alan Mann Trophy at the Members’ Meeting in March and in an Austin A35 in the all-A35 St Mary’s Trophy tin-top thrash at the Revival in September. ‘I’ve competed at Goodwood over the past few years and I’ve really fallen in love with the place,’ he added. 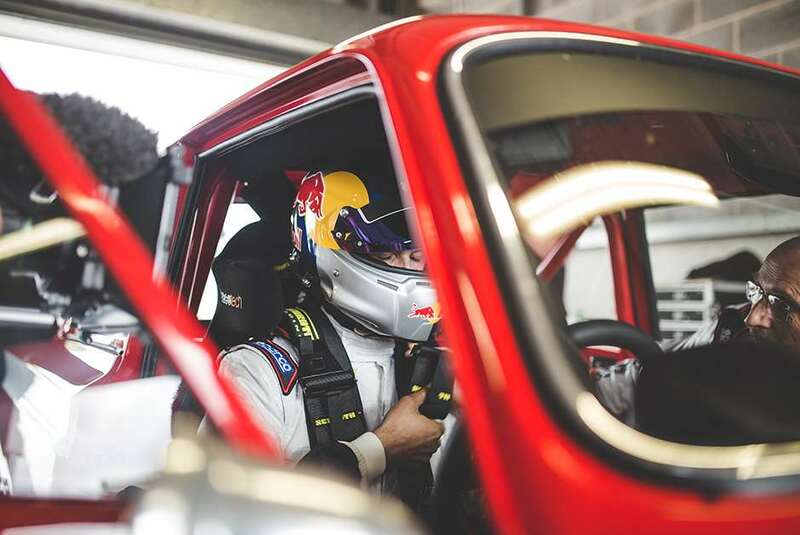 ‘The circuit offers one of the biggest challenges I have ever experienced as a driver and the atmosphere and attention to detail at their events is like nothing else. Andrew Jordan: BTCC 2018, Thruxton – "I'd never felt adrenaline quite like I did on Sunday." Andrew Jordan: BTCC 2017, Rockingham – "It felt like we deserved that win"